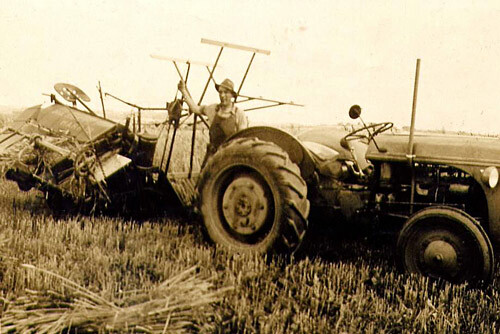 Mark Clarke harvesting corn using a binder pulled by a Ford Ferguson tractor. This tractor was manufactured by Henry Ford and Harry Ferguson before they went their separate ways and set up their own factories. The picture dates from about 1948.